If you have ever had a dog before, you know that they can find their way into about anything if they put their minds to it. If you haven’t had a dog before, now you know. 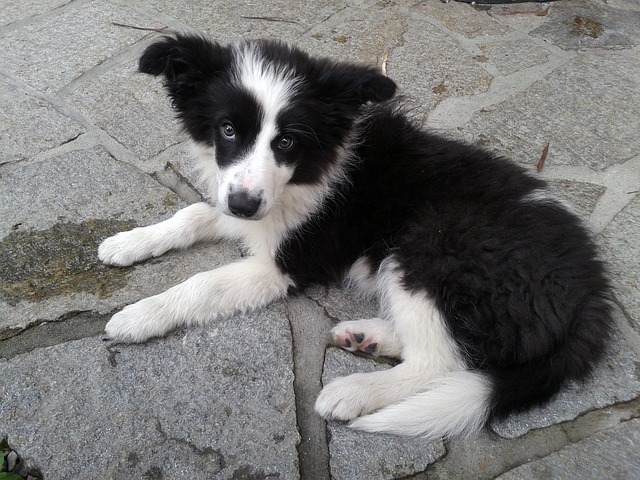 And border collies are no different. They can actually be even worse than most other dog breeds if they don’t get the proper amount of exercise they need on a daily basis. Dog-proofing your home is an important thing to do if you want to ensure that you don’t have any serious issues in the future. 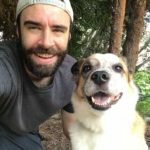 This is something that you should do before you get a dog, but if you have already adopted one, then read this article and get to it. Border collies are very smart dogs. They can get into places and things you would never even expect, sometimes without you even knowing. There are so many items around your house that could be dangerous, you would never even know about them without reading first. There are toxic foods in your cabinets, toxic plants in your yard, and hazardous objects laying out all over the place. Small items that can easily be swallowed should always be put away. Keep cabinets shut with child locks if you have to. Other hazards that you may not even notice in your day to day lives can be spotted from your dog’s point of view. Get on your knees and start looking around the house as if you are your border collie, and you’ll find problems. 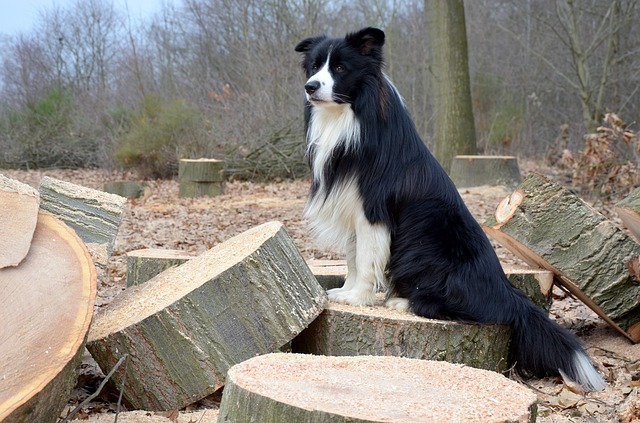 The more you know now about what to look out for, the better off you and your border collie will be in the future. Because there are so many hazards you need to look out for, I will go on a room by room basis. Chances are, you will have already taken care of a lot of these issues without even realizing it, but keep reading to be sure. The most common problem you will have to watch out for in the kitchen is food. Make sure that cabinets are always shut. Any food that is hazardous to your border collie should be kept off the floor and off the counters, out of reach from your pup. If you keep cleaners and dishwasher detergents under your kitchen sink, make sure these cabinets can’t be opened easily. Other objects to look out for include: plastic wraps, twist ties, food in the trash, and other small objects that can easily be swallowed. The living room is usually the central gathering place and the place where your border collie will probably spend a good amount of their time. Here are some things you should look out for in the living room. Candles, potpourri, and other accessories like these should be kept out of reach so your border collie can’t ingest them. Wires from your TV and equipment, computers, and other electronics should be kept off the ground and out of reach as well. Make sure that if you have a fireplace, it has the proper screen or door. This is so your dog can’t close enough to burn their face or get sparks in their eye. If your living room is at the front of the house, make sure that the front door is always closed. If you want to leave it open, then make sure that you have a screen door or a baby gate to keep your doggie from getting out. If you’re a plant lover like my wife and I are, make sure that any houseplants you have are non-toxic to your dog. If you have kids, make sure that any toys or games with small pieces are put away when you’re not there to supervise your dog. As far as bedrooms go, they aren’t as bad as the other rooms in the house. If you want to keep your bedroom the way it is, you can always shut the door. But I would recommend against doing this because to your border collie, it will feel like you are not allowing them full access to the house. Here are some things to look out for. If you have a small floor trashcan, make sure to keep it empty when you aren’t there to supervise your dog. If you don’t want to do that, you can keep it in your closed closet, or remove it completely. Keep shoes and laundry off the ground, or tucked away in a closed closet. You don’t want your dog choking on the loose strings or other edible clothing you wouldn’t even think about. Make sure to keep jewelry, hair clips, makeup, and other small items in a drawer when you aren’t using them. Keep lotions and other medicines out of reach as well. Keep electrical wires off the floor and out of reach. When it comes to bathrooms, there are some hazardous things your border collie can get in to as well. If you have cleaners and other chemicals under the sink, make sure that there is no way possible for them to open the door and access these. Keep the trash can out of the open and under a cabinet. My border collie completely ignores trash cans unless they have food in them, but it is better to be safe than sorry. Any razors, cosmetics, lotions, or other creams should be kept in the medicine cabinet or in the drawers. Keep the toilet lid closed at all times. Many dogs will ignore the toilet water, but some can’t get enough of it. Make sure that your shampoos and soaps in the shower or bathtub are kept on a high shelf, out of reach from your border collie. If you don’t have a shelf in your shower area, you can always get a plastic one that sticks to the wall, or a shower caddy. The garage can be one of the most dangerous places for your border collie. The garage is where you store everything from outdoor equipment to old memorabilia, and weed killers to old paint cans. It’s safe to say that if your border collie has free reign in the garage, they might get into some unwanted places and things. For this reason, I always keep my pup out of the garage, but if you don’t want to do this, here are some ways you can dog proof your garage. Make sure to clean the floor of your garage before allowing any animals into it. If there are oil stains, paint chips, or other toxic materials, your dog may ingest them and could be poisoned. Keep all the stored items in plastic containers that aren’t left open. Get rid of any rat poison, traps, or anything of that nature. Keep all the pesticides, paint cans, oil cans, weed killers, and other toxic chemicals high up in a cabinet away from your dog. If you have a workbench, then make sure to keep all the loose nuts and bolts in containers or drawers. If you have sharp tools like clippers, shovels, or rakes, make sure to keep these out of reach from your dog. Make sure that the garage door always stays closed so that your border collie can’t escape. Like the garage, the yard can also be very dangerous for your new border collie. The yard is full of nooks and crannies, plants, animals, and who knows what else. It is important that you make sure to dog proof your yard before anything else. Here are some ways you can do that. First of all, you’re going to want to make sure your yard is fenced in and that the fence is enough. Your fence needs to be tall enough to keep your border collie inside of it. It shouldn’t have any holes, broken boards, or nails sticking out. Make sure that the plants in your yard are non-toxic to your border collie. There are many plants that are toxic to dogs, so make sure to verify first. If you keep tools on the side of your house, make sure to block off access to them so your dog doesn’t hurt themselves if one of them falls. Make sure that you don’t have any pesticides or weed killers laying around that are just waiting to be ingested by your dog. These are toxic and very harmful. That also goes for animal poisons and traps. If you have rat poisoning, rat traps, gopher traps, or any other things like these, you risk your dog getting sick or hurt. I remember when I was a kid and our golden retriever ate rat poisoning in the shed in our backyard. She was acting funny and sick so we rushed her to the animal hospital. It was a good thing we did because she had to have her stomach pumped and would have died otherwise. If you have a pool and your dog likes to swim, make sure to have some kind of way to keep them out. Dog hair can clog up the pool filter and cause problems for you. Also look out for trash cans or other objects in your yard that your dog can jump up onto to get over the fence. 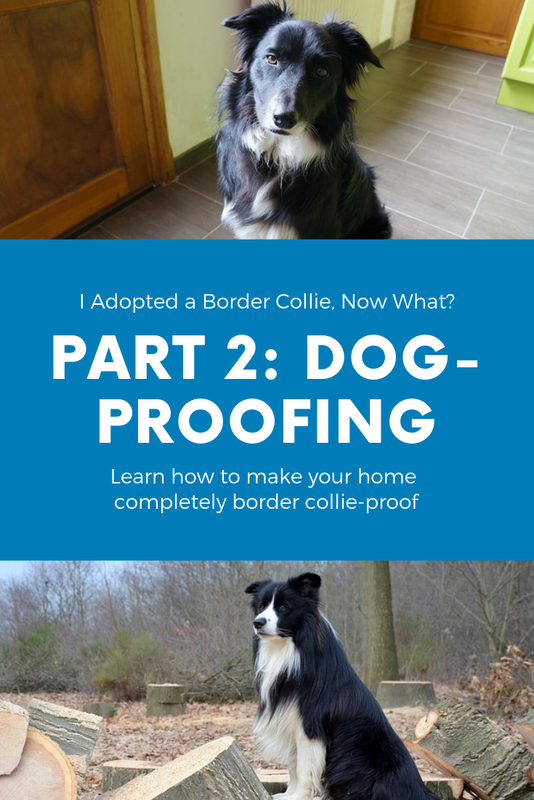 You adopted a border collie and after reading this, you should know how to dog proof your home. Now it’s time to get off the computer and go do it. Without having to go through the entire article, dog-proofing your home can be summed up with a few key rules. 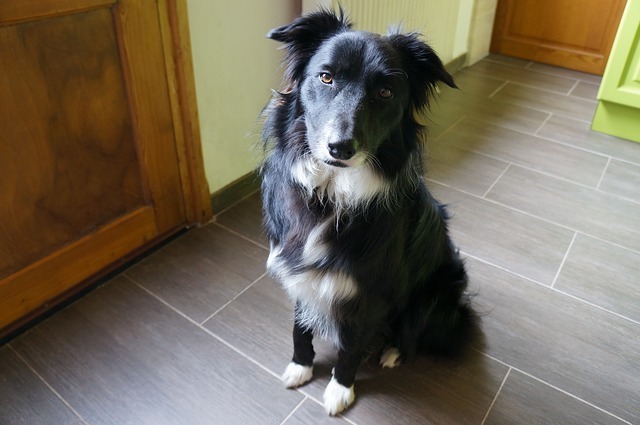 Keep toxic products and foods, small items, and other things your border collie can eat, locked away in cabinets and out of your border collies reach. Keep your border collie out of places where you wouldn’t trust your toddler to go. And just use common sense. In the next part of the series, I will talk about exercising your border collie. Look out for it in the coming days.